As mentioned in my last post I finished this quilt recently. It ended up measuring 45 x 50 inches. And it ended up with a first in the local Ag Show in the Jelly Roll Quilt category. 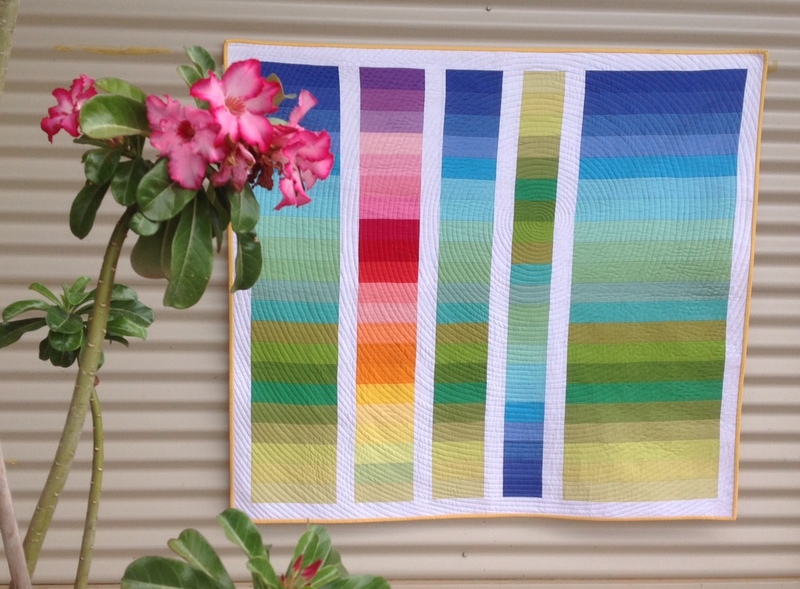 Should I mention that it was the ONLY quilt to be entered in that category?! Pressure dial on the back of the machine - 1. Upper thread tension - 4. Stitch width - 2. Stitch length - 3. 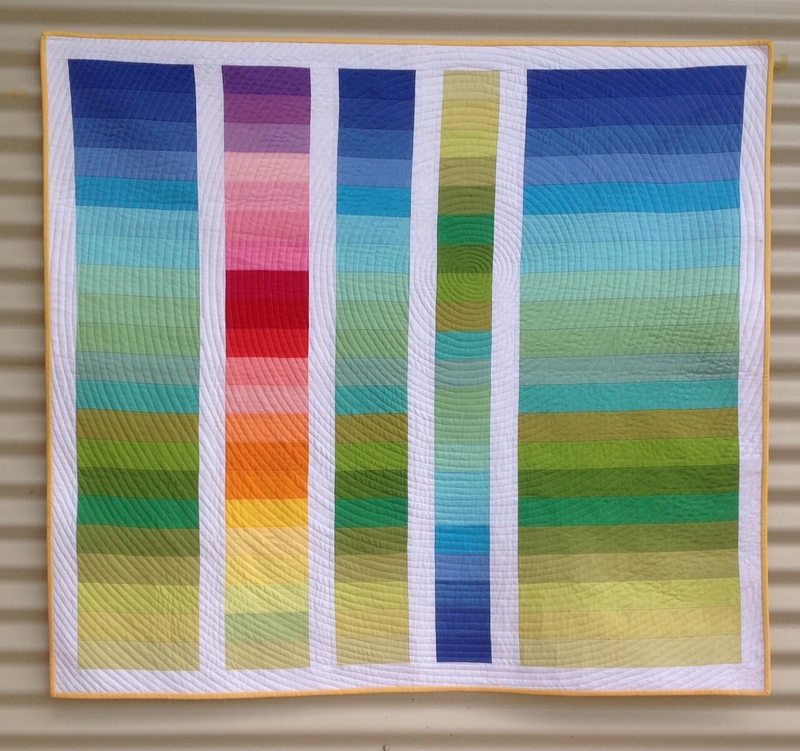 Top thread - Aurifil 50. Bottom thread - Aurifil 50. Direction of quilting - Anti clockwise spiral. Sarah Fielke BOM - the top is done!! This is a Flickr badge showing photos in a set called Quilts. Make your own badge here.